Teens out to have fun. Parents out to stop it. 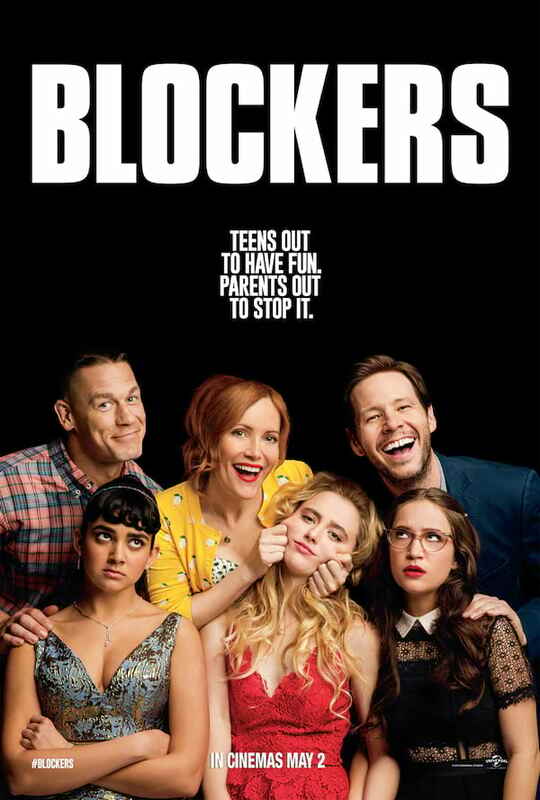 Universal Pictures has just launched the new one-sheet art for its upcoming adult comedy, Blockers, starring John Cena, Leslie Mann and Ike Barinholtz as as a trio of parents who spend prom night trying to stop their teenage kids from losing their virginity. Check out the poster below and watch Blockers in Philippine cinemas May 02. Leslie Mann (Knocked Up), Ike Barinholtz (Suicide Squad) and John Cena (Trainwreck) star in Blockers, the directorial debut of Kay Cannon (writer of the Pitch Perfect series). The film is written by brothers Brian & Jim Kehoe, Hurwitz & Schlossberg and Eben Russell.